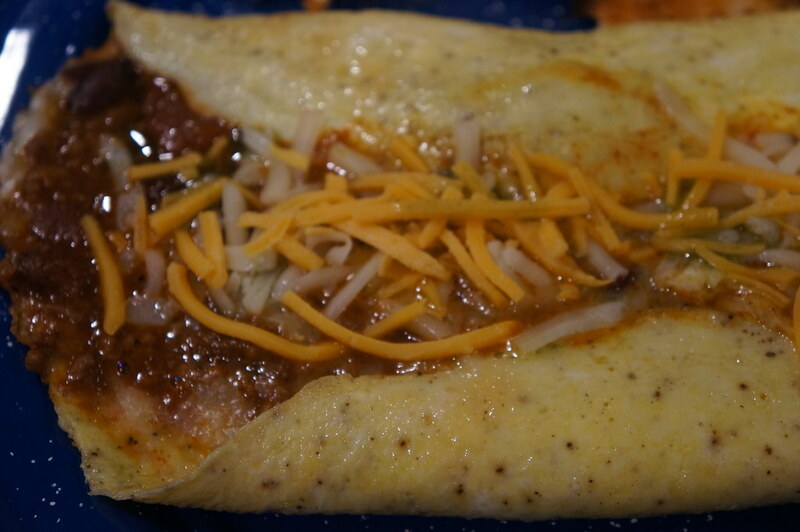 Cajun flavors mixed with Mexican. 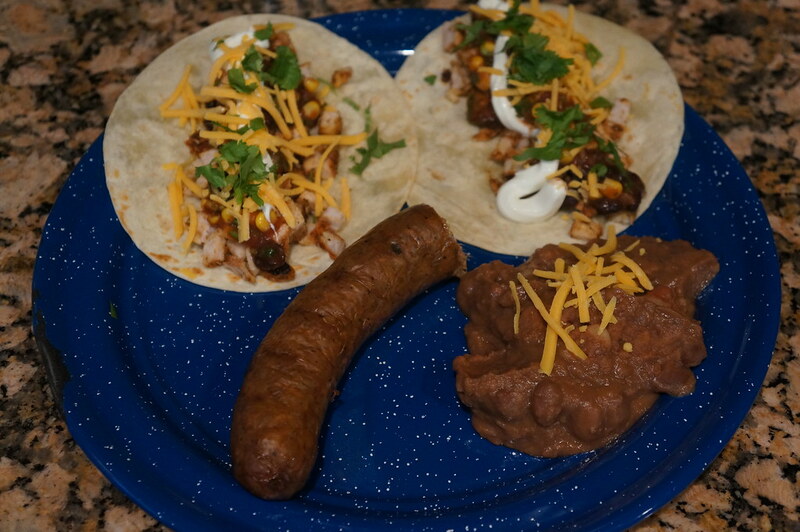 Grilled some boudin and spicy seasoned boneless pork loin for tacos and refried beans. 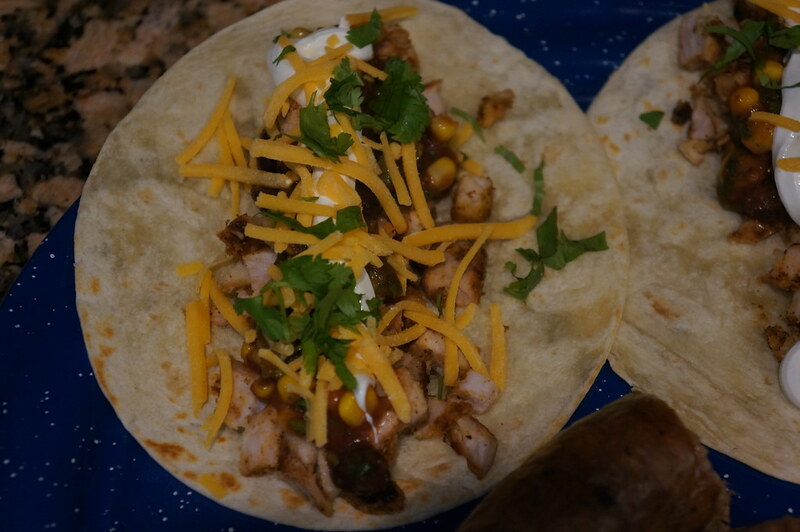 I made a black bean and corn salsa for the tacos and for eating with chips as well. 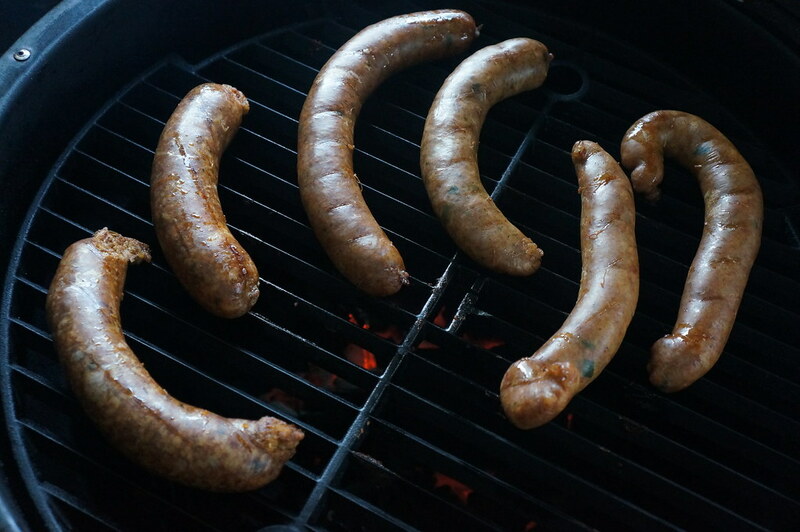 Boudin instead of yellow/Spanish rice. 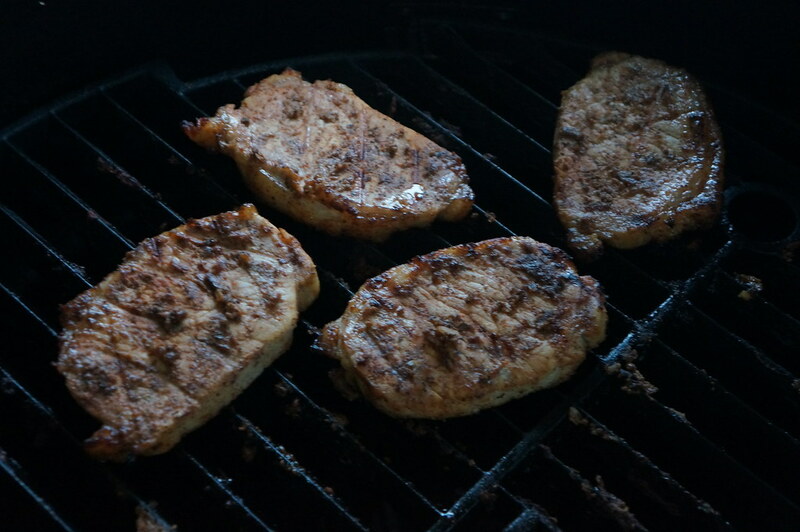 Pork was diced up for the tacos. 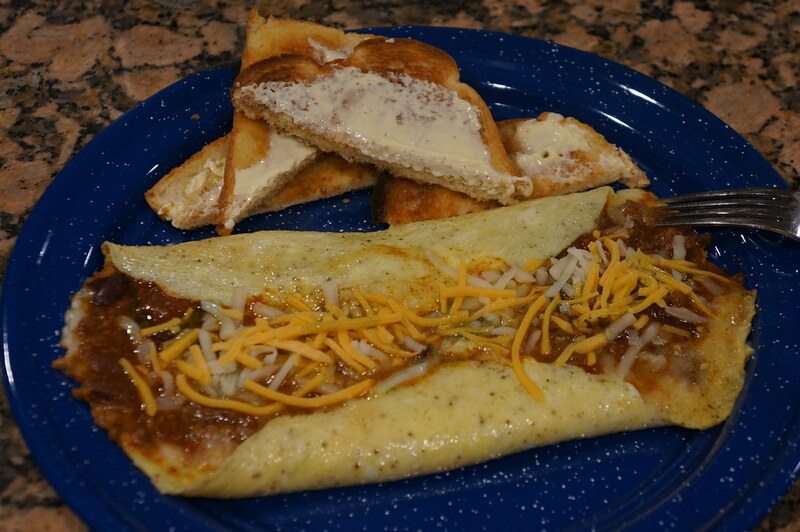 Felt a little hungry yesterday morning so I whipped up myself a little (homemade)chili and pepperjack cheese omelet. Wow, all looks so good! Nice cook.